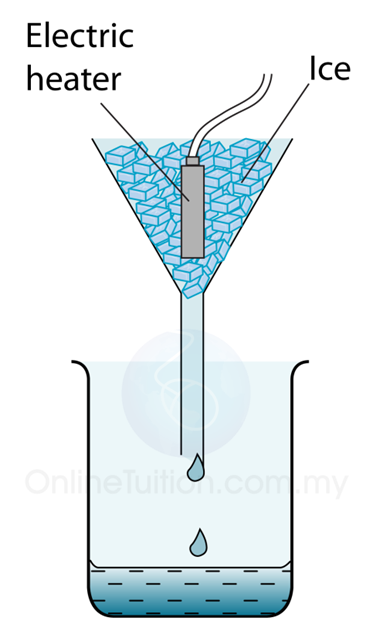 Figure above shows the apparatus setup to determine the specific latent heat of fusion of ice. Some ice at 0 °C is heated by a small electric heater which is left switched on for several minutes. Some of the ice melts to form water which runs down through the funnel and is collected in the beaker. 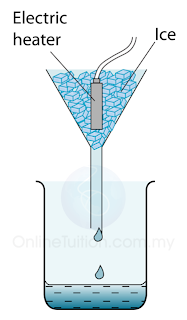 The mass of ice (m) melted is found by measuring the mass of water collected. If the power of the heater is P and the time taken to heat the ice = t, then the thermal energy supplied by the heater = thermal energy used to melt ice = Pt. The heating element of the heater must fully immerse in ice so that all the heat generated is absorbed by the ice. A control set is needed to estimate the amount of mass of ice melted by the heat from the surrounding. The heat received by ice is less than the calculated value Pt as some heat is lost to the surrounding. 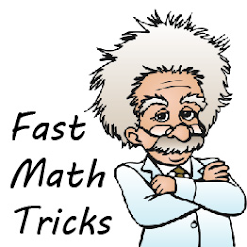 This will result in the value of l obtained from the calculation to be slightly higher than the standard value. If impurity is present in water, the melting point of the water will be lower than normal.